Find out who your friends & colleagues really know! There is a huge gap between popular social networks which consider people you barely know to be your friends & business colleagues and your personal address book which comprises an intimate group of your closest contacts. Kyrylity enables you to create an intimate address book micro network with preferred friends and business colleagues in a controlled environment. Your personal address book is probably your most valuable asset. Indeed, your personal address book may totally define your social and business opportunities. Kyrylity enables you to create a secure private address book micro network on your mobile smart device that will enhance your social and business prospects. Your Kyrylity address book micro network allows you to freely exchange messages with your contacts (1st degree contacts) and the contacts of your contacts (2nd degree contacts). 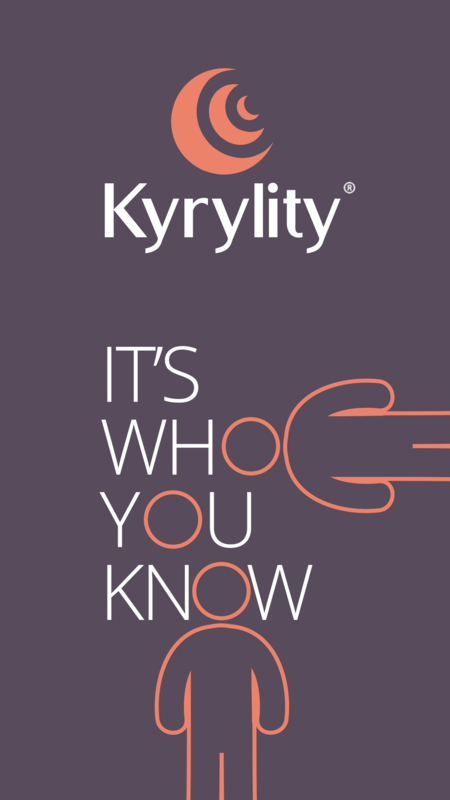 In order to protect your privacy, Kyrylity uses a “double opt-in” mechanism when creating your Kyrylity address book micro network. Kyrylity is available for iPhone and Android. Kyrylity will be available for Tizen soon!